One of the undeniable benefits of covering rock ‘n’ roll’s history one song at a time as opposed to a single overstuffed book that tries desperately to cram in every pertinent fact by reducing them all to mere footnotes, is being able to zero in on important, but usually overlooked, moments where the first signs of something on the horizon come into view. We’re not talking the big picture changes that have been over-analyzed for over a half a century already (Gee, you say this Elvis Presley character appearing on the national scene in 1956, hips-a-swiveling, lips-a-sneering, was a major event? Thanks for the update! And those shaggy haired British chaps arriving in America in the dead of winter in 1964 created a bit of a stir? That’s good to know! And what of this television network in the 1980’s that actually played music like a radio, except they added elaborately filmed video montages to supplement it? That went over well, did it?). Instead the really fascinating moments come where a key figure down the road arrives and offers something new but not quite so revolutionary as to be remarked upon by anybody, yet in time the changes they bring about are every bit as transformative as the landmark moments known by one and all. In late 1947 we met such a figure, though nobody (including us if we’d been around then) would’ve ever guessed his importance based on Dave Bartholomew’s first two records as a recording artist, both of which (She’s Got Great Big Eyes and Dave’s Boogie Woogie) were decidedly underwhelming, even for that time when nothing much about rock was very advanced. The fact we then went more than a year without a single sighting of him during which time he was hardly missed as rock ‘n’ roll took off both artistically and commercially, coalescing into a rapidly expanding musical and cultural juggernaut, tells you that his initial forays into rock were probably all you’d wind up hearing from him, his career over before it really even began. In truth it was just getting started and here on New Orleans Lover Man, a side that even the most ardent rock historians and Bartholomew enthusiasts have overlooked when tracking his career arc, is really where his personal redemption began and signified the larger shift from the founders of the New Orleans rock style to the second generation which would ensure it’d thrive in the following decade as well. 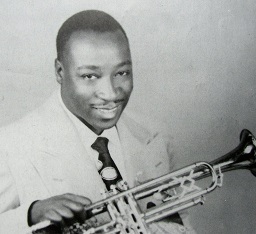 At the risk of changing my own mind many times in the future, not to mention inviting harsh disagreement from the readership here, let me state that Dave Bartholomew may very well be the single greatest producer in rock history all things considered. That’s a pretty bold statement and one that’s not often proffered as history tends to favor those with more complex styles, a sudden rapid ascent and often a quick fall to make their time on top seem more tragic, and of course those who fit the image of the behind the scenes musical sorcerer that make for good copy. Phil Spector, J Dilla, Willie Mitchell, Rick Rubin, Allen Toussaint, Brian Wilson, Scratch Perry, Smokey Robinson, Brian Eno, Dr. Dre, Sam Phillips, Brian Holland and Lamont Dozier… there are lots of quality names with solid résumés and no clear-cut consensus, but chances are of those names – and many, many others – most would be singled out long before anyone got to the name Dave Bartholomew. Yet Bartholomew’s credentials are immense, starting with the fact that only Maxwell Davis – another vastly underrated candidate for at least Top Ten status – came along earlier than Bartholomew and thus most of the production techniques we take for granted, things that virtually ALL of the other potential choices for greatest ever employed in their own work, in fact started with one of those two names. They were the groundbreakers, the pioneers, the ones who viewed producing as something more than simply rolling the tapes and calling out take numbers then choosing the best for the issued recording. Both Davis and Bartholomew had the added advantage of being top notch musicians who were also formidable songwriters in their own right and maybe most importantly were schooled arrangers as well. That meant it was THEIR vision, as much or more than the artists at time, which were being used to shape the raw material into a polished finished record. In terms of creativity they had their hands in more pots than most. In Bartholomew’s case – since this is the focus of the review at hand – we also have to make mention of an attribute that is sure to be passed over completely by most when discussing his strengths as a producer and that is he was the first to intentionally discard his own musical tastes (and in fact his own instrument) for the betterment of the record, possessing an amazing amount of musical foresight that grasped (and wholeheartedly accepted) the requirements for connecting in rock ‘n’ roll. For an immensely proud jazz reared trumpeter such as Bartholomew to voluntarily let his own role in performing the music on record take a back seat to other instruments more suited for the job and at the same time to not look down on the relative simplicity of the songs he was overseeing but rather to structure them in ways that allowed individual aspects to shine and give the records an amazing vibrancy and endurance have to stand among his greatest attributes as a producer. He never tried subverting the work of others to satisfy his own creative urges but rather he skillfully adapted his creative urges to suit the musical and commercial goals of others. Over a dozen years at the peak of the singles era when records were written, recorded and released at a staggering pace that would send modern musicians into a state of paralyzed shock, Bartholomew’s catalog is as deep – and as consistently brilliant – as any producer in rock, yet because aside from his work with Fats Domino and one immortal side with Lloyd Price on Lawdy Miss Clawdy much of its historical impact has become obscured with time, he rarely gets the casual accolades he deserves. So just how did this man who delivered two failed singles as an artist sixteen months earlier come out of exile (self-imposed or circumstantial) and start to re-shape the rock landscape so thoroughly? Well truth be told it actually started with another relative failure in the form of New Orleans Lover Man, a record that couldn’t continue Chubby Newsom’s recent success commercially but which in every other way signaled the arrival of a new plateau in rock ‘n’ roll. Ironically enough Bartholomew’s Dixieland affinity makes itself known on the very first notes, which would be one of the things he’d soon cast aside when surveying the landscape and realizing that it didn’t fit in rock’s bold new frontiers. But for a song distinctly referencing the joys of New Orleans it’s entirely appropriate all the same. It’s Dave himself on the trumpet, another soon to be casualty (though he WOULD continue to play on records for years, especially his own as an artist, he downplayed its role significantly) and the resulting sound of the extended intro is anything but cutting edge. Before you curse me for seeming to intentionally mislead you as to his complete stylistic re-invention, building your hopes up to hear something radically new and different over the course of the previous two sections that suggested such a transformation was imminent, let me just tell you to hold your horses and wait for the horns to subside a bit before you rush to judgment. Then as they do let’s also give Newsom a chance to come in and take on a new persona, one which positions her quite unexpectedly as a dreamy love-struck woman which contrasts nicely with her more typical role as a sensual woman on the prowl. This Chubby Newsom embodies certain traits we never thought we’d hear from her when listening to her thrust her hips and stick out her breasts at us in Hip Shakin’ Mama or Back Bitin’ Woman. Here Chubby is tender and sincere, starry-eyed and vulnerable and the amazing thing about it is how convincing she is as the somewhat inexperienced ingénue. But what allows us to believe this turnabout isn’t just the lighter breathier tone she sings with (though that helps) but rather the subtle touches in how Bartholomew frames her vocals by diversifying the sounds typically heard, or shading them differently than they’d been used before. 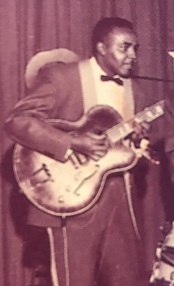 Earnest McLean will likely get even less recognition for his status as an all-time great guitarist than Bartholomew will as a producer but McLean was one of the masters of early rock, possessing a light touch and perfectly played fills, which were all most guitarists were called on to do in those days. But each line he plays in response to Newsom’s plaudits of her dream man give this a hazy effect, something akin to how directors in old Hollywood would have a thin coating of Vaseline applied to the lens in order to produce a similar dreamy look for actresses in black and white films. The result here is something that becomes wistful in Newsom’s reading, even though she’s not referring to a distant memory from her past but rather her current infatuation. Bartholomew’s muted trumpet behind her adds just the right touch, suggesting she’s in a crowded room where all the sights and sounds fade into the background as she thinks of the guy who’s won her heart. But since this is Chubby Newsom we’re talking about – a girl who’s reputation rests on her sexually carnivorous reputation – Bartholomew employs multiple stop time bridges to let her boast about what this fella does to her when the lights go out, adding after the first: You girls know what I mean… which makes sure that what was implied leading up to it isn’t lost on anyone. In the end though, at least to satiate the rabid and horny male fan base she had earned, that concession to her dominant image wasn’t quite enough. To say this provides all the evidence you’d need to predict Bartholomew’s eventual stature as a rock producer would be patently false, but when studying it you definitely can see the start of his ascent to that position in how he tackles the job. He’s not using the existing blueprints of Paul Gayten who’d already achieved success with Newsom (among others), instead Bartholomew is venturing out on his own, trying his hand with different techniques, going by instinct and letting the results tell him how much further he needs to adjust his approach. If it’s possible to see a producer’s mind at work just by listening to a song as he attempts to learn on the job New Orleans Lover Man gives you that opportunity. He makes some missteps for sure, the featured horn solo is much too modest to really connect and is even a bit old fashioned sounding. But that’s not because of its construction as much as it’s due to its choice of sonic textures. Like so many others Bartholomew is still working out which instruments, and by that I mean which horns, are best for delivering the greatest musical impact while still conveying the requisite passages to convey the proper mood. He nails the latter but misses the former, the outdated sound soon to be replaced wholesale once he was able to gauge the reaction. But while the record itself falls a bit short in doing all it needed to continue Newsom’s strong commercial run, it does expand her potential for a more varied approach in the future, as well as dealing with the issue of just what components can be used in all of rock music going forward and how to best utilize them in that stylistic context. Most of all throughout this you can sense Bartholomew’s intelligence and restless creativity formulating solutions to problems that others hadn’t even begun to address. That of course doesn’t help Newsom much here, for while she offers up an excellent delivery that shows her in a new light the absence of her most defining attribute probably had some fans shying away from this and without a more obvious musical detonation being employed it wasn’t going to win back any disaffected listeners. It’s funny in a way that Newsom was the one who’d been so forward looking when we first saw her and now she was at risk for being left behind because she was tied to that one successful image and therefore any changes to it – no matter how well done – were bound to be rejected. On the other hand we have in Dave Bartholomew someone who was busily plotting how to take the next step musically and making some notable changes that would usher in the sounds of tomorrow, yet here it’s the slightly outdated sounds that hold this back. The shifting landscape in any creative evolution is never an easy one to traverse and even here, with two highly skilled practitioners, the footing was still a little unsteady. But they were headed in the right direction with the confidence required to make it to the other side. That fate would intervene and sever their partnership before it had a chance to gel would ultimately cost Newsom her chance at long term viability and as such she’d remain a beautiful monument to the first stage of the rock civilization now reaching its apex. Bartholomew on the other hand would soon lay the plans, establish the architecture and build the structures that would define the second stage of rock’s growing empire just coming into sight over the next horizon. The unfortunate casualty of such a fast-moving transformation is that these two figures representing those initial stages of New Orleans rock wind up missing their connection in the station. I remember when I first learned of Dave and started looking into his history. I almost couldn’t believe how many hits he’d written/co-written and/or produced. I’m particularly partial to his work with the Spiders, New Orleans’ best rock vocal-group in my opinion (they’ll be covered here in due time). There’s a very interesting/peculiar aspect to that too… both New Orleans (the true birthplace of rock) and Memphis (the often stated birthplace), in any event certainly two crucial cities in rock’s flowering, had a criminal lack of vocal groups in the 40’s/50’s. Both cities were the home to a ton of legendary solo acts and some of the hottest bands and session musicians on the scene, but vocal groups were almost entirely the realm of Northern cities or L.A.
An odd quirk that we’ll delve into in the future, but since you brought up The Spiders I figured I’d mention it here. Leave a reply on "Chubby Newsom: “New Orleans Lover Man”"